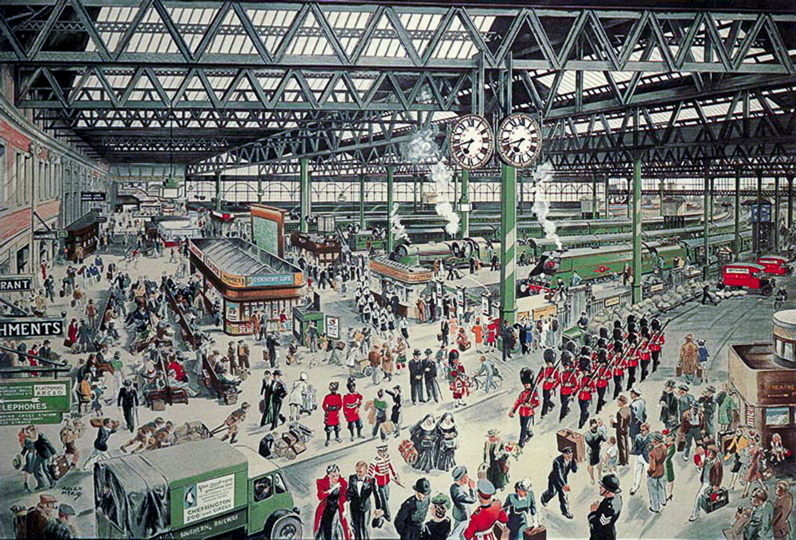 The 1922 rebuilding of Waterloo Station in London by the London & South Western Railway Company brought order and purpose into what had been a rambling and confusing building. From a Southern Railway poster published shortly before the nationalisation of Britain’s railways. Travelling by train used to be an adventure. We got to Waterloo at eleven, and asked where the eleven-five started from. Of course nobody knew; nobody at Waterloo ever does know where a train is going to start from, or where a train when it does start is going to, or anything about it. The porter who took our things thought it would go from number two platform, while another porter, with whom he discussed the question, had heard a rumour that it would go from number one. The station-master, on the other hand, was convinced it would start from the local. To put an end to the matter, we went upstairs, and asked the traffic superintendent, and he told us that he had just met a man, who said he had seen it at number three platform. We went to number three platform, but the authorities there said that they rather thought that train was the Southampton express, or else the Windsor loop. But they were sure it wasn’t the Kingston train, though why they were sure it wasn’t they couldn’t say. 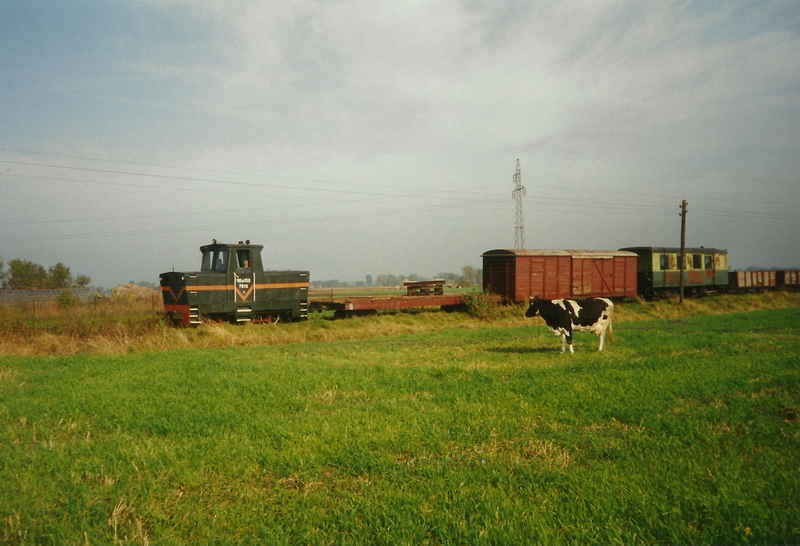 PKP IC TLK train at Lodz Kaliska. But is it my train? Photo BTWT. 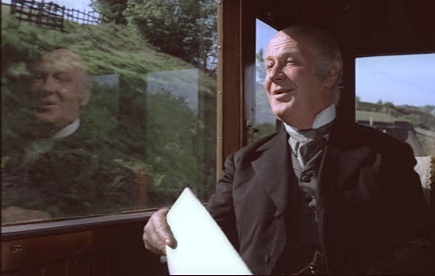 Then our porter said he thought that must be it on the high-level platform; said he thought he knew the train. So we went to the high-level platform, and saw the engine-driver, and asked him if he was going to Kingston. He said he couldn’t say for certain of course, but that he rather thought he was. Anyhow, if he wasn’t the 11.5 for Kingston, he said he was pretty confident he was the 9.32 for Virginia Water, or the 10 a.m. express for the Isle of Wight, or somewhere in that direction, and we should all know when we got there. We slipped half-a-crown into his hand, and begged him to be the 11.5 for Kingston. Thus we got to Kingston by the London and South-Western Railway. We learnt, afterwards, that the train we had come by was really the Exeter mail, and that they had spent hours at Waterloo, looking for it, and nobody knew what had become of it. From Three Men in a Boat, by Jerome K Jerome, 1889. Changing the printed timetable is a major exercise. Photo BTWT. 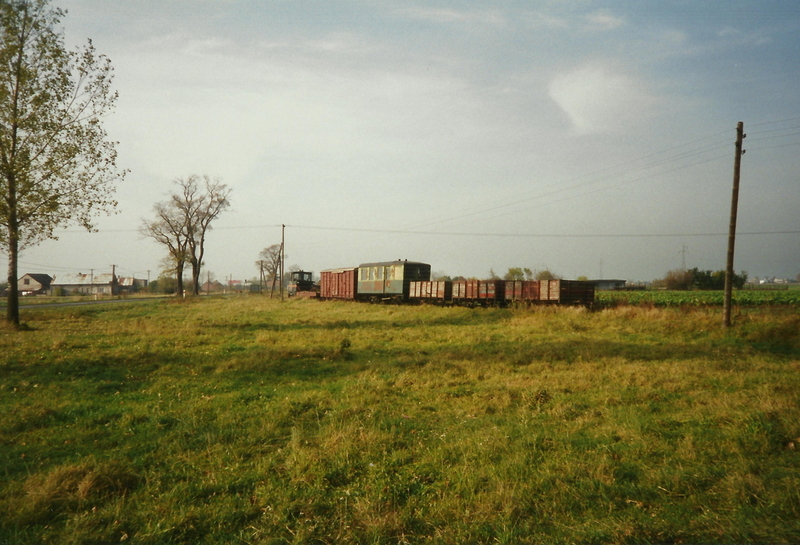 Travelling by train in Poland is still an adventure. Surprisingly there is a dearth of information at the point of departure. Printed timetables do not always have details of all intermediate stations and quickly become out of date. The information on main and auxiliary indicator boards is often incomplete. The on-line timetable is probably the safest bet. But, not always. 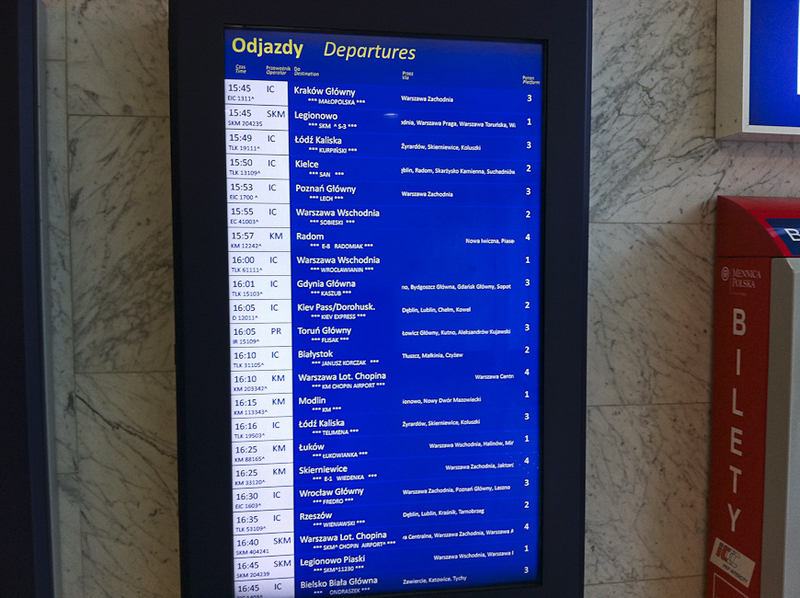 Auxiliary departure board at Warszawa Centralna in 2013. 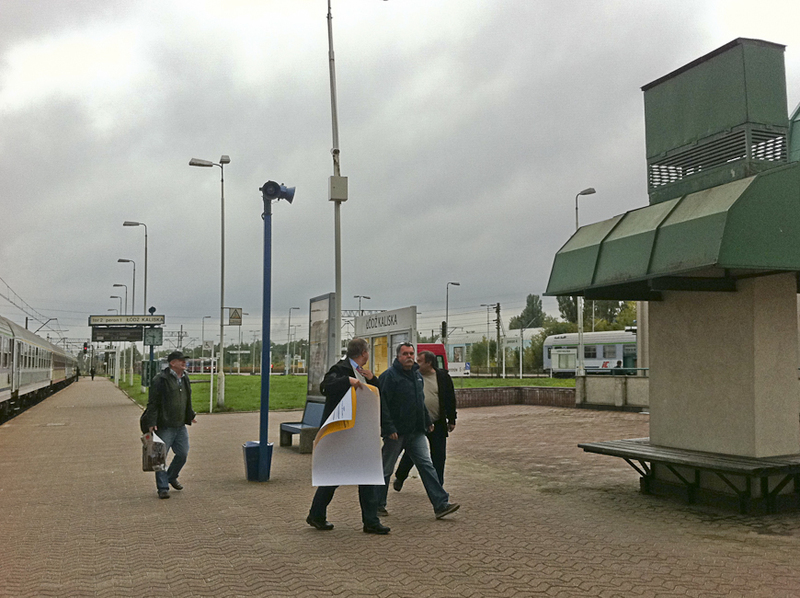 There was no indication that the 15:49 and 16:16 to Lodz Kaliska also stopped at Lodz Widzew and Lodz Chojny. Photo BTWT. 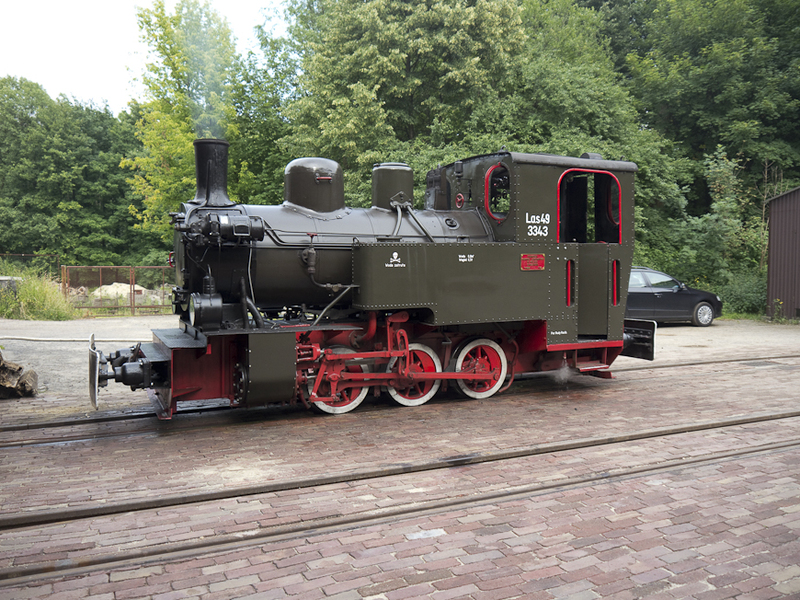 A couple of years ago the Zuławy Railway – a preserved fragment of the once extensive narrow gauge railway network serving the coastal region near Gdańsk – arranged with Arriva to run a number of trains to connect with its tourist trains. Arriva arranged the train paths with infrastructure manager, PKP PLK, and PLK passed on the details to PKP subsidiary, TK Telekom, and the new trains duly appeared in the national railway timetable. All went well, until PLK, decided to change the times of the paths that it was making available for the new services. Arriva changed the times of its trains, but TK Telekom, which was not contracted to make an intermediate timetable correction, did not change its timetable. 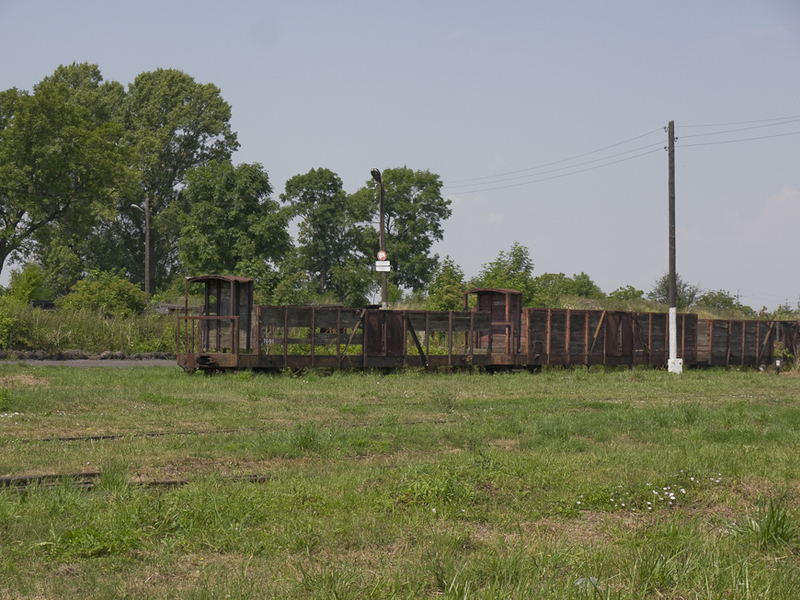 During the Zuławy Railway operating season, intending passengers turned up to catch the Arriva trains only to find out that their trains had already gone. 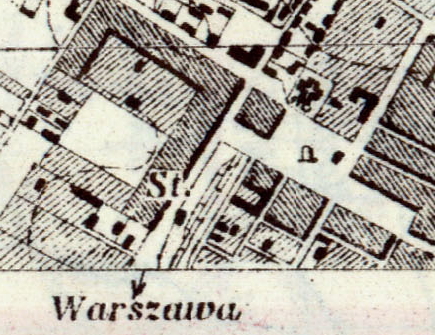 Fragment of TLK Telekom page showing the rogue results of a query for a service from Krakow Glowny to Warszawa Centralna on 19 April 2015. In spite of such gremlins, many still consider TK Telekom to be the definitive source of timetable information. The company hosts two timetable query pages: its original service, old.rozklad-pkp.pl, and a newer service, rozklad-pkp.pl. The former is rather old-fashioned, but provides much useful information, including real time tracking, about selected trains. The latter is much easier to use on a mobile phone, but is much less informative. So when one of BTWT’s regular readers was researching a trip to Krakow in a couple of weeks time it was entirely appropriate that he started by looking up the time of trains on the original TK Telekom website. He had intended to fly in via Katowice on Thursday evening, 16 April and to go back via Warsaw on the Sunday 19 April. Much to his surprise he found (see screen grab above) that there were no suitable connections. There was a 08:42 TLK train which was timetabled to do the Warsaw journey (via Katowice, Czestochowa and Piotrkow Trybunalski) in 9 hours and 1 minute! The next direct service (and the only one to do the journey in a reasonable time) was the 15:08 EIP. 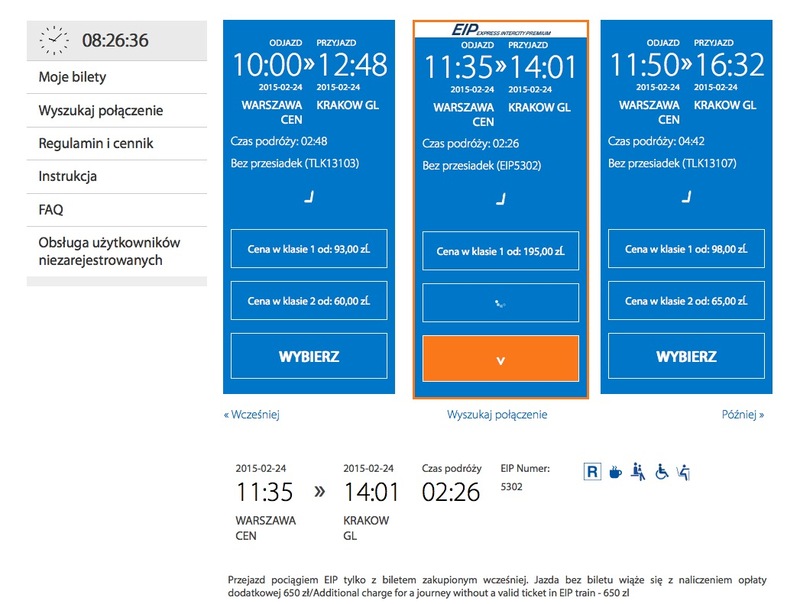 PKP IC e-ticketing system showing additional morning trains from Krakow Glowny to Warszawa Centralna on 19 April. 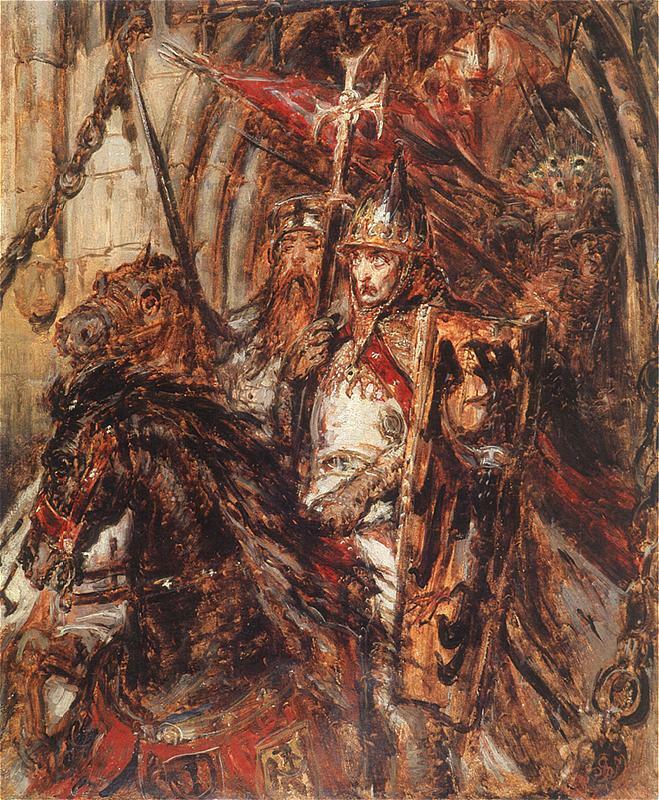 In fact, there is a very good service from Krakow to Warsaw on Sunday mornings. Services include the 10:06 EIP (journey time 2 hours 26 minutes), the 10:44 TLK (2hrs. 51 min.) and the 12:07 EIC (2hrs. 27 min.). So is the PKP IC portal better than TK Telekom’s? Well not necessarily. I have seen the PKP IC service display ‘ghost trains’ which do not actually run on the day queried. A more frequent problem is when the system refuses to show the price of available tickets, or to process a ticket sale. 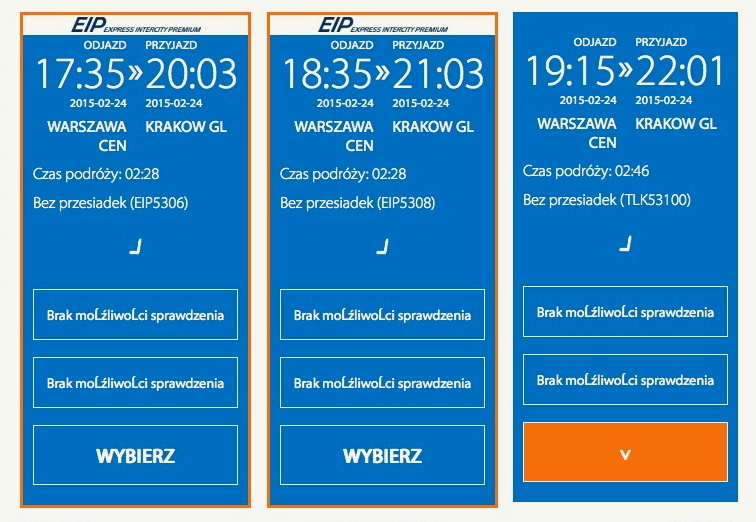 PKP IC e-ticketing system unable to provide ticket prices for the 17:35 EIP, the 18:35 EIP and the 19:15 TLK trains from Warszawa Centralna to Krakow Glowny at 08:26 on 24 Febuary. PKP IC e-ticketing system unable to complete a ticket purchase for the 11:35 EIP from Warszawa Centralna to Krakow Glowny at 08:26 on 24 Febuary. With a fierce warning on the bottom of the page that anyone caught on a Pendolino train without a ticket will be fined 650PLN (118 GBP), the PKP IC ticketing system does not leave the would be Pendolino traveller with a warm fuzzy feeling. Maybe the marketing team at PKP IC could learn a thing or two from the bright young chaps at PolskiBus? Screen capture showing a part of the PolskiBus home page. 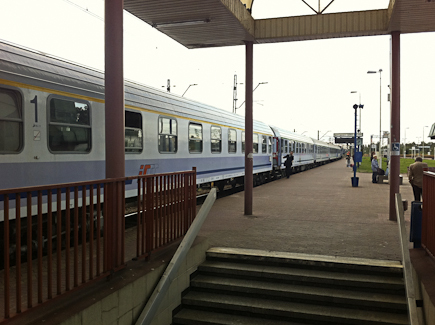 An open letter to the new PKP InterCity chairman. Pendolino trainset prepares to reverse out of its platform at Krakow Glowny having formed the first ever Polish Pendolino public service train to Krakow: the 06:35 from Warszawa Centralna on 14.12.14. Photo BTWT. I hope that you don’t mind me addressing you as ‘Jacek’ rather than ‘Mr Leonkiewicz’. As you have worked in London for two years, I am sure that you are used to the English custom of business colleagues addressing each by their first names, and – although you have only worked in the railway industry for two years – I wanted to recognize you as a fellow railway professional. In fact I think that the brevity of your sojourn in PKP will work to your advantage – you will not yet have been infected by the cynicism that eventually saps the will of most senior PKP people. Before I get started, I would like to congratulate you on your appointment to the position of CEO of PKP InterCity. By now you will have found out that the job is something of a poisoned chalice – you are the 9th PKP IC CEO in the space of the last ten years. You may be wondering why so few of your predecessors lasted any length of time. Were they really ALL so incompetent? Of course not, and my reason for writing to you is to offer you a few pointers so that you avoid the rapid career change that befell most of them. Seriously, all joking aside, one of the things you should consider is talking to your predecessors – those who are prepared talk. 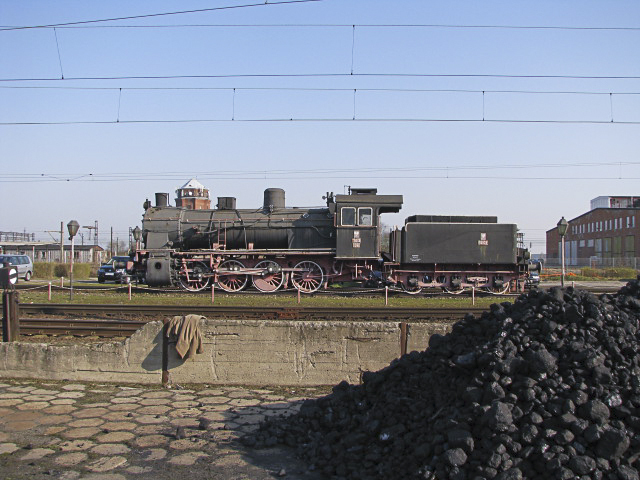 Some have become bitter and are rusting in sidings like Poland’s historic steam locomotives, others have coped better and are developing their careers elsewhere. The latter will tell you that not all the key variables that affect PKP IC’s profitability can be managed the IC board or even the main PKP SA board. There are systemic factors which were outwith their control. Some of the strategies of your predecessors were actually quite good, but they were not given the time to make them work. Here are thumbnail sketches of some of those you should talk to. 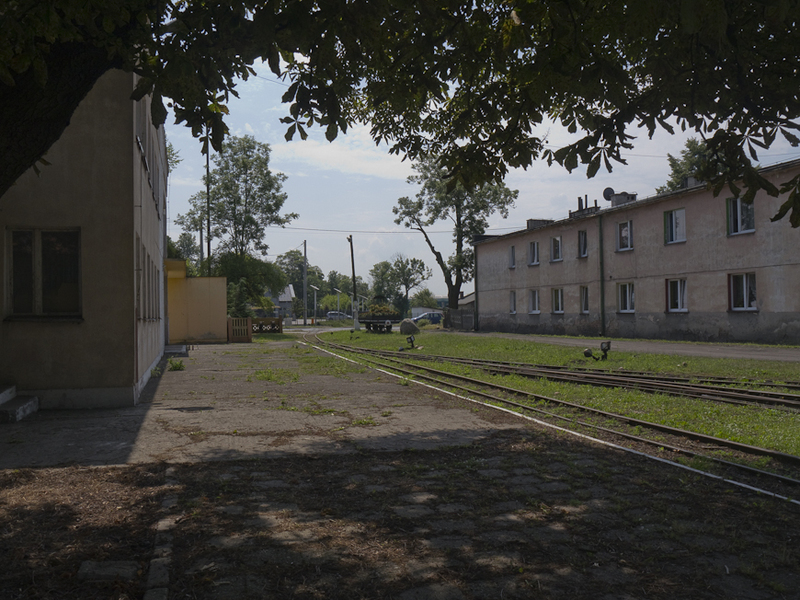 Jacek Przesluga pointed out that the overall image of railways in Poland depended not just on the quality of the trains, but also on the standard of the stations. He wanted to set up a separate company to manage PKP’s main stations, but was dismissed before he could implement his plan. 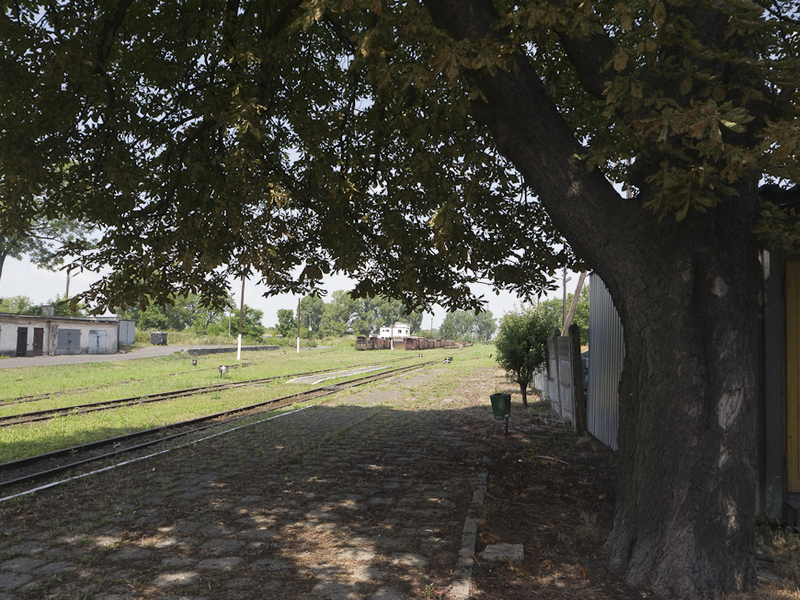 Janusz Malinowski was popular with staff and drew attention to the environmental benefits of travelling by train. He was sacked for making senior appointments without consulting his boss, a mistake that I am sure you will not want to repeat. Marcin Celejewski’s mission was to bring in airline style marketing and ticketing methods and to ensure the trouble free launch of the Pendolino. He succeeded – but only partially – in both, however a 5 million plus drop in passenger numbers made his position untenable. EIC buffet car and WiFi carriage at Warszawa Centralna. Photo BTWT. Steering the flagship company of the PKP group is a bit like steering a giant oil tanker – there is a considerable delay before any course corrections instituted by the captain are seen to have any effect. The captain has the benefit of training on simulators before he finds himself on the bridge of a real tanker. There is no similar training package for PKP IC CEOs and, being realistic, your ‘on-the-job training’ will take a year. Forgive me for being so blunt, but with PKP IC haemorrhaging cash and Parliamentary elections due no later than November, I do not believe that you have got a year before you have to be seen to have turned your ship around. So to help you get your tenure off to a flying start I have prepared the following 10-point crib sheet. If you manage to implement all these recommendations you should – given a fair wind – outlast your predecessors. Set up a focus group. Run customer satisfaction surveys. Ride your trains and talk to passengers. If you need inspiration talk to Anthony Smith at Passenger Focus. By the way, did you know that the seats in the 2nd class section of your expensive new Pendolino trains do not fit the standard Polish male derrière? Another excellent way of discovering what your customers think of PKP is to talk to customer-facing employees like train managers and ticketing staff. They hear an enormous amount of complaints at first hand. Actually it is quite a good idea to set up a way of getting feedback from all your employees. 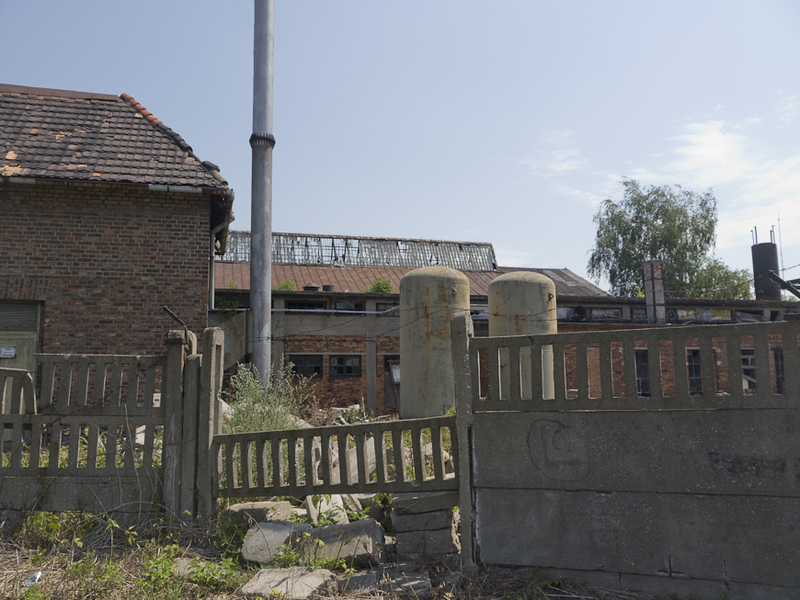 Most of the PKP group’s internal culture is still firmly rooted in ‘Command and Control’ mode, a left over from the days when Poland’s railways were an integral part of the Warsaw Pact’s military machine. Instigating a ‘reverse channel’ so information can flow upwards from staff to their managers, regional directors and main board members should be one of your main priorities. In spite of Celejewski’s attempt to introduce low-cost airline discount pricing, the PKP IC ticketing system is still a shambles. 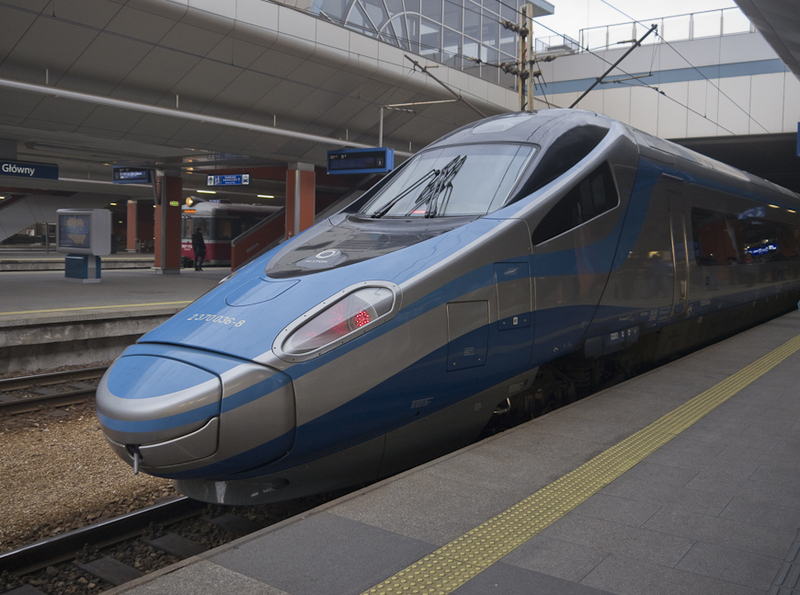 Passengers travelling, say from Lodz to Zakopany and changing at Krakow Plaszow from one TLK train to another, should NOT have to buy two separate tickets (thus loosing the through journey discount) when purchasing their tickets through the Internet. Trying to find a bargain discount fare by ‘hunting’ between different days (a painless process on the discount airline portals) involves having to re-key in all the journey data for each day ‘tested’. It is only possible to buy tickets four weeks in advance. Why? This is something you should be able to sort out quite quickly. Setting up a ‘fair’ single fare for journeys involving more than one train operating company will take longer, but this is also a goal worth pursuing. 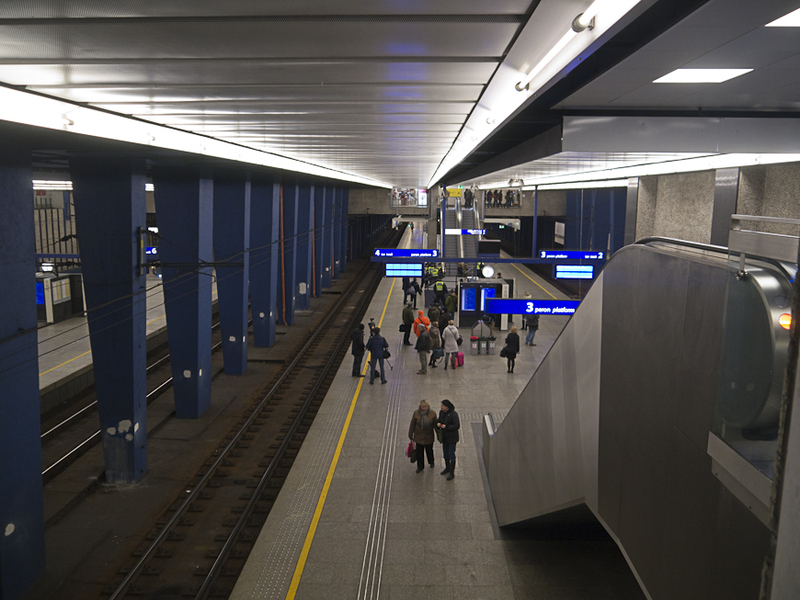 In the last few years major stations have undergone complete rebuilds or makeovers – a process partly accelerated by Euro 2012 championship (though relatively few football fans actually travelled around Poland by rail). But there are still major deficiencies in the quality of the station experience: lack of decent waiting rooms with comfortable seats, incomplete information on destination boards, poor integration between commercial retail and station facilities. I could go on and on about my pet gripes, but rather than pay attention to me, why don’t you… ? 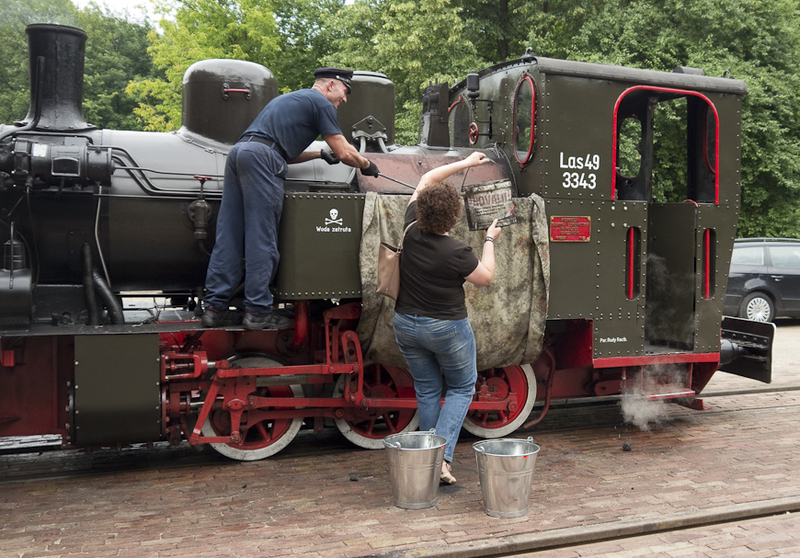 Make your managers and directors travel by train! 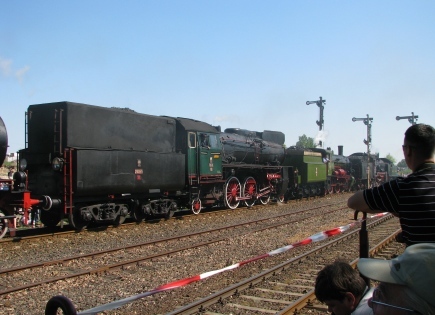 I have always been amazed how much – bearing in mind that they work for a national public transport network – senior railway people in Poland travel about on duty by plane, or are chauffeured around in luxury cars. What a missed opportunity for senior people to see what is really happening on the railway! You should ban this practice immediately in PKP IC, and – should a suitable occasion arise – suggest gently to your boss, PKP SA CEO Jakub Karnowski, that he consider implementing such a ban throughout the whole PKP group. Have you read Deming’s Quality Productivity and Competitive Position, Out of the Crisis and The New Economics for Industry, Government, Education ? If not, please order these two seminal books for yourself and for all your fellow board members. Deming proved that it is possible to increase quality and reduce costs simultaneously. His work had a profound effect on the competitiveness of Japanese industry post WW II. It takes time to change a company’s culture based on the ideas taught by Deming, but as a small step in the right direction, you should encourage staff (individuals or teams of co-workers) to submit ideas for improving processes and reducing costs by offering appropriate rewards. To give PKP credit where credit is due, major stations around the PKP network are being fitted out with escalators and/or lifts. But due to a blind spot (no pun intended) PKP’s architects are failing to provide integrated solutions – complete routes that can easily be navigated without encountering a flight of steps. In the recently modernised station at Katowice, one of two pedestrian tunnels has been fitted with escalators leading to the platforms. Access to this subway is via a flight of steps. Further along the concourse an escalator and wheelchair ramp leads to another subway, but this tunnel has only stairs leading to the platforms. Similar barriers exist at the brand new station at Krakow Glowny. 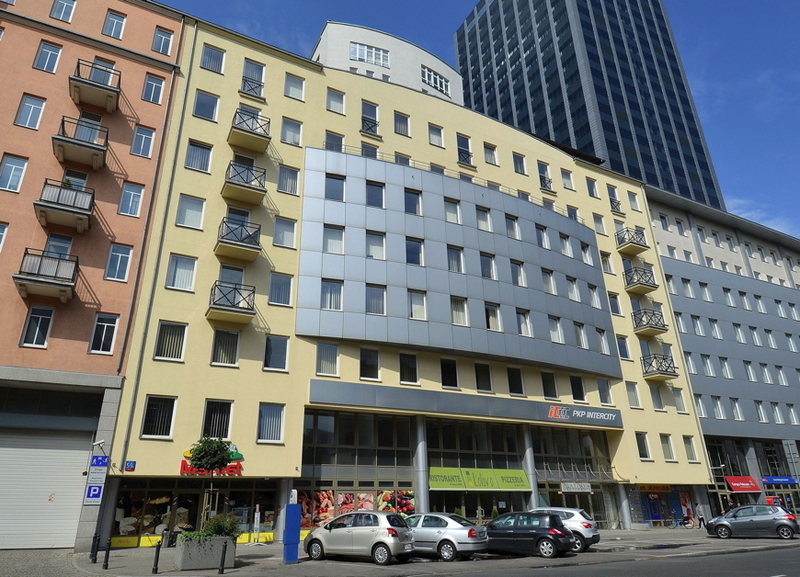 One can – for a time at least – excuse such problems at legacy buildings like Warszawa Centralna, but for brand new facilities this is inexcusable! When things go wrong (such as a broken down train) one of the most infuriating things that can happen to a passenger is to be told by the train manager that one has to buy a brand new ticket, and that a refund for the old ticket can only be obtained via a Kafkaesque complaints system. Please, please, empower train staff to deal with such minor problems on the spot, by granting them powers to revalidate old tickets, or issue new replacement tickets, without charging the customer a second time. You would not believe how much anger will be saved, and goodwill generated, by such a simple step. Appoint a customer champion and show customers that InterCity is really on their side! 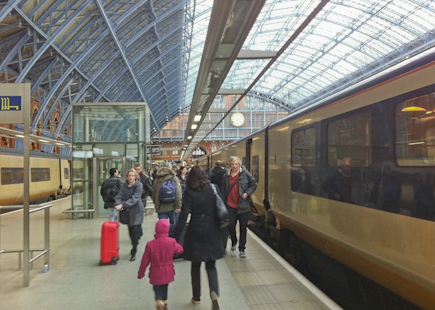 Rail travel was once seen as the premium travel mode; in many parts of Europe it is being viewed as such again. PKP should be involving its passengers and staff in a campaign to promote the benefits of safe, ecologically sound, rail transport! 3,000 km more to follow? 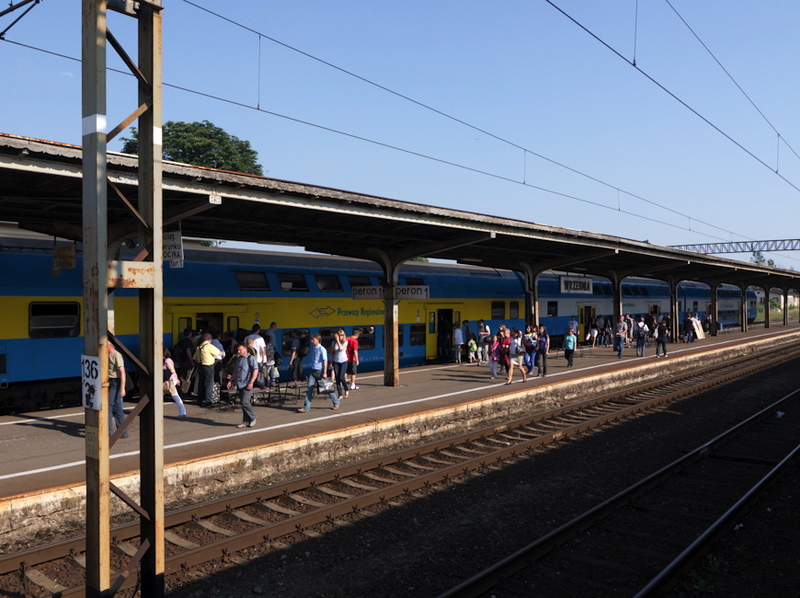 On Friday, Poland’s rail infrastructure manager, PKP PLK, announced that a total of 2,000 route kilometres was due to close by the end of the year. 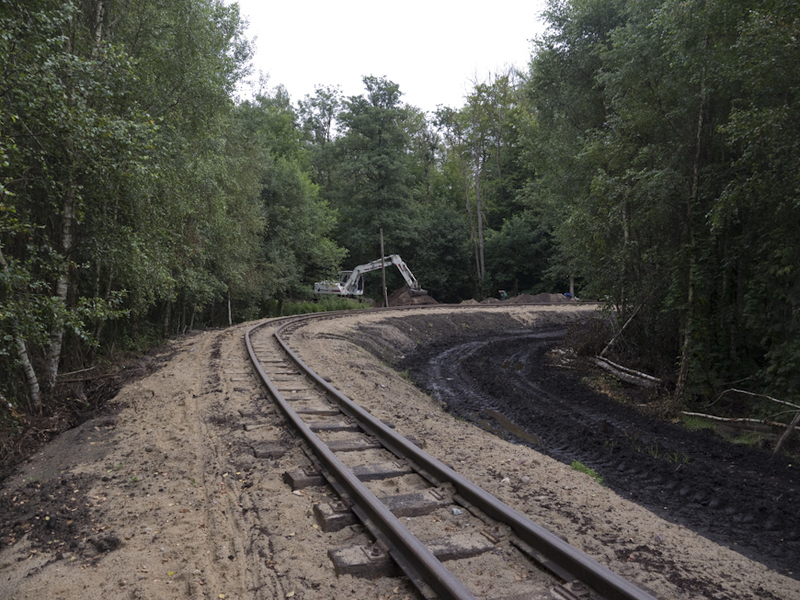 According to PKP PLK, the effects of the programme – some 90 lines are due to close – will be to reduce the size of the Polish railway network from 19,200 km to 17,200 km. 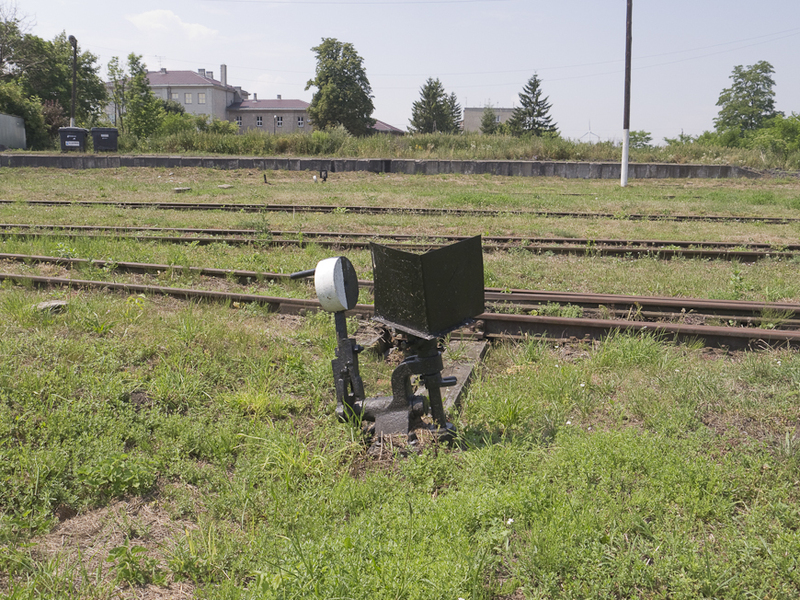 However, in September 2012, Rynek Kolejowy, was reporting that a ‘deal’ had been concluded within the Ministry of Transport whereby the target size of the Polish railway network would be some 14,000 – 15,000 km, necessitating a total line cull of some 5,000 km. PLK are talking about network ‘optimisation’ rather than closure. The lines would only be ‘suspended for a time’ rather than ‘closed’, says PLK’s vice chairman, Filip Wojciechowski, in charge of the restructuring programme. Only 910 km of route are definitively due to close, the other 1090 km will only close after the demand from train operating companies has been taking into account. There will be no further closures Wojcichowski assured at a press conference. To those familiar with the Beeching closure programme much of the above language will be depressingly familiar. Services in the UK were only ‘suspended’, then after closure railway lines were disposed of in indecent haste as if to make sure that any subsequent reopening would be nigh on impossible. Strategic considerations were sacrificed for short term financial goals. The Great Central Railway route from London to Manchester, constructed to European loading gauge, was closed at the same time that a detailed geological survey was being conducted prior to the connection of Britain’s railways to Europe via the Channel Tunnel! When the Beeching closures failed to make BR profitable another round of drastic closures was proposed in the early 1970s which was only averted by the most vigorous lobbying. What is really depressing is that the supporting material released by PLK also seems to be based on the principle that PKP PLK should be ‘making a profit’. Any lines that detract from this objective should be axed. 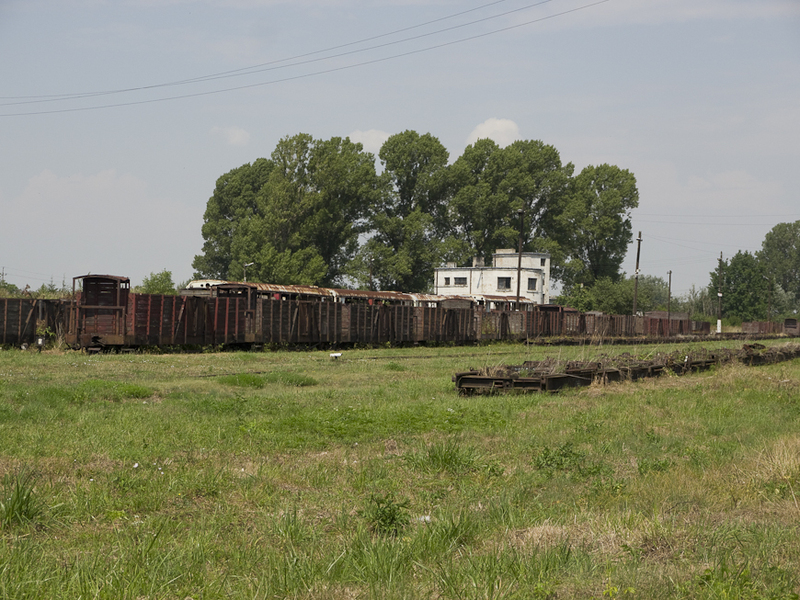 PLK’s press release cites the example of the 84 km section of line 227 between Czerwonka – Orzysz which carries only 3-4 freight trains a week and is supposed to be losing PLK over 1.5 million PLN a year. Not only does the 1.5 million loss seem totally unrelated to anything happening on the ground – such lines enjoy zero annual maintenance and the block keepers and level crossing keepers were all laid of year’s ago – the implication that this traffic should all go by road makes no allowance for the additional road maintenance bill caused by the lorries carrying the transferred freight traffic. 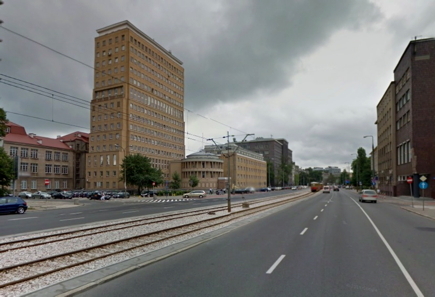 It is a fact, frequently ignored by Poland’s transport planners, that the damage caused by a road vehicle moving over a road service varies as the 4th power of its axle weight. A simple calculation demonstrates that the typical HGV travelling over Poland’s roads is subsidised by ordinary motorists and taxpayers. It is a sobering thought that most of Poland’s road network would fail the ‘profitability test’ being applied by Poland’s Ministry of Transport to the country’s rail network. Is Friday’s news the beginning of a stealth closure programme which in reality is targeting 25% or more of Poland’s railway network. Here at BTWT we very much fear that the evidence strongly suggests that in reality this is the case. Court case adjourned till October. 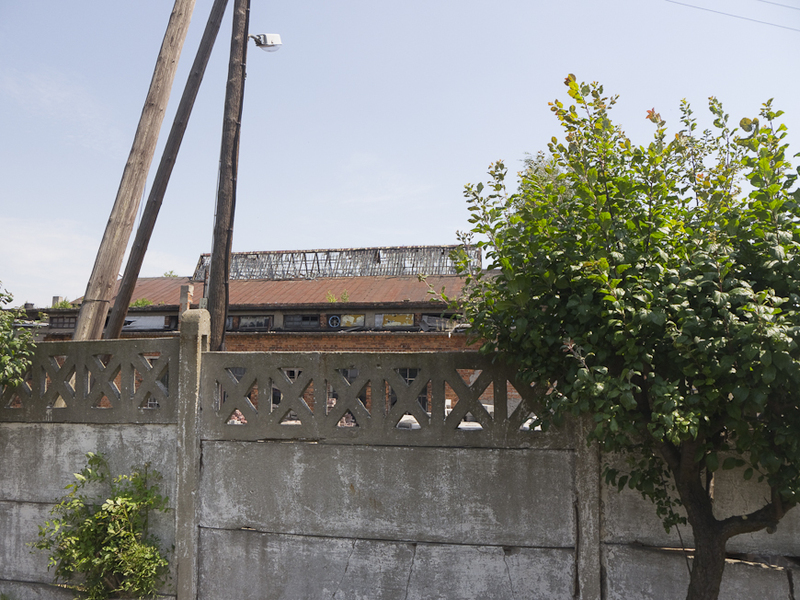 Yesterday the adjourned court case regarding TOZKiOS’s use of the former engine shed at Pyskowice was reconvened, only to be adjourned again till October! While we are not yet out of the woods, it looks as if the accumulating weight of letters received at the Ministry of Transport, Infrastructure and Maritime Affairs, has thrown a spanner in the works and the society will not be receiving their marching orders just yet. The good news is that local politicians are beginning to get involved and that there is the first glimmer of hope that PKP SA and TOZKiOS may be able to come to an agreement before the court case convenes for the third time. At least the October date gives us time to explore all available options, if PKP SA prove willing to negotiate in good faith. 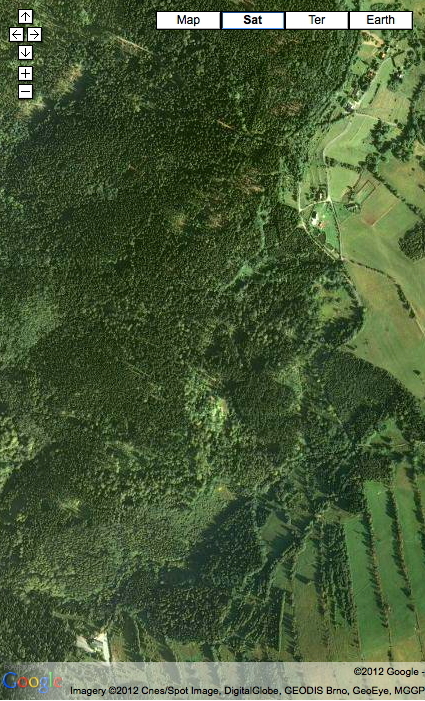 We have arranged to interview Zbyszek Jakubina, the Chairman of TOZKiOS on Thursday afternoon and will publish a detailed post on the subject of the Pyskowice Skansen as soon as possible thereafter. Many thanks to all BTWT readers who took part in our letter writing campaign. 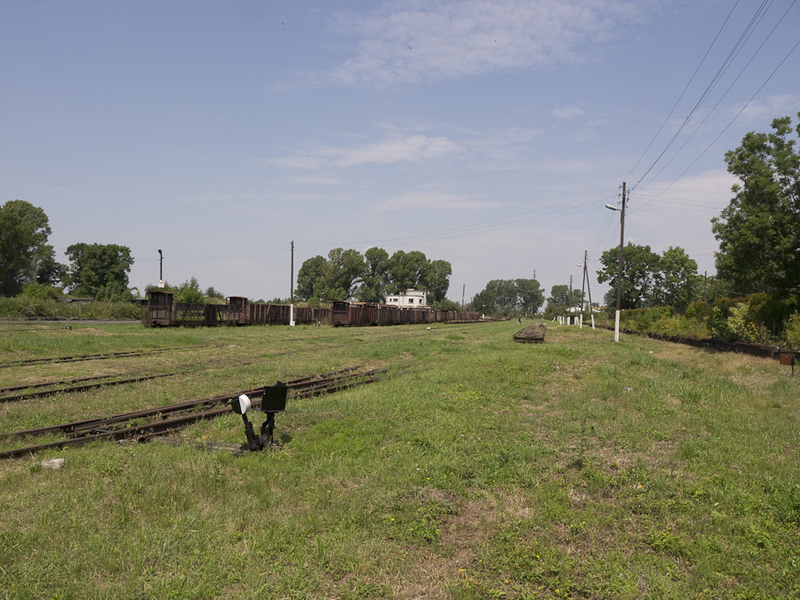 It is only appropriate that I also acknowledge the debt of gratitude due to several senior figures in the international railway heritage movement who also took up their pens on behalf of Pyskowice. 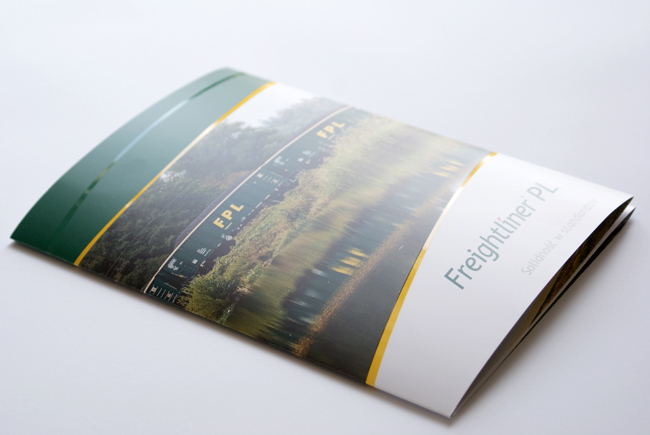 Freightliner PL leaflet. Photo Grafixpol. On Wednesday 28 March 2012 we published an article ‘Freightliner PL to be sold‘ in which we stated that the company ‘has yet to make a profit’ and may have given the impression that the company’s owners might be forced to sell at a ‘garage sale price’. We now accept that Freightliner PL is profitable, that there is no possibility of a quick sale of the company at a knocked down price and that although a sale at some stage is likely – its principal owners Arcapita Inc are in the business of buying and selling companies – it will not take place according to the distressed sale timetable suggested by the article. We make an unreserved apology to Freightliner PL. The article was based on information in the public domain about the financial status of Freightliner PL’s principle owner Arcapita Inc and information about Freightliner PL’s financial results supplied by one of our trusted sources. What we had not factored in was that – in an effort to divert business away from Freightliner – one of Freightliner PL’s principle competitors was spreading misleading information about Freightliner PL’s profitability. We should have checked this information; we did not, and we accept full responsibility for the mistake. On its way out? The old station building. Photo BTWT. One of my favourite parables is the one about the frog sitting in a cooking pot. It applies to many of the challenges that face the human race. A slow fire is lit under the pot and the frog never realises what is happening until it is too late and it can no longer jump out. Poor frog! The waitress starts fiddling with the temperature control on the cold drinks fridge and I realise it has become uncomfortably hot. Is the air conditioning not powerful enough to cope with a really hot day, I query. No, the building was opened in a rush by the politicians before all the systems were finished, she replies. Like a dark cloud on the distant horizon being a harbinger of a storm to come, this is the first warning. The 15:55 leaves from platform 2. The stairs going down to the platform are clearly marked. Unfortunately, there is only an upward escalator and I do not want to take my suitcase down the steep and narrow steps. I look for a lift. There is a lift which looks as if it might connect to platform 2, but there are no signs to advise where it might go to. However, I notice that there is a lift on the opposite side of the concourse to each set of platform stairs, so I deduce that the one opposite the platform 2 stairs is probably the one I want. Outside it is really hot and humid. Second class TLK stock is not fitted with air conditioning so I begin to worry about the journey to Lodz. The Sukiennice from Szczecin arrives punctually at 15:45 crammed full of Ireland supporters. I choose an open carriage to give me a better view. It is the last coach of the train and is destined to become the first as the train reverses here. I wait patiently as the fans pour out onto the platform till the flood becomes a trickle. Meanwhile passengers are already boarding the coach at the other end and desirable seats are going fast. The coach resembles an open compartment coaches from BR days with a table and a window between each pair of seats. I rather fancy a window seat on the left of the carriage which will become the shady side once we reach the suburbs of Poznan and swing round towards the East. As it happens some Ireland supporters have left one of the tables covered in beer cans and fast food containers. Other passengers have avoided its seats as if they were contaminated with polonium. I thank St Patrick and make a beeline for the mess, yank open the window and sink gratefully into my chosen seat. 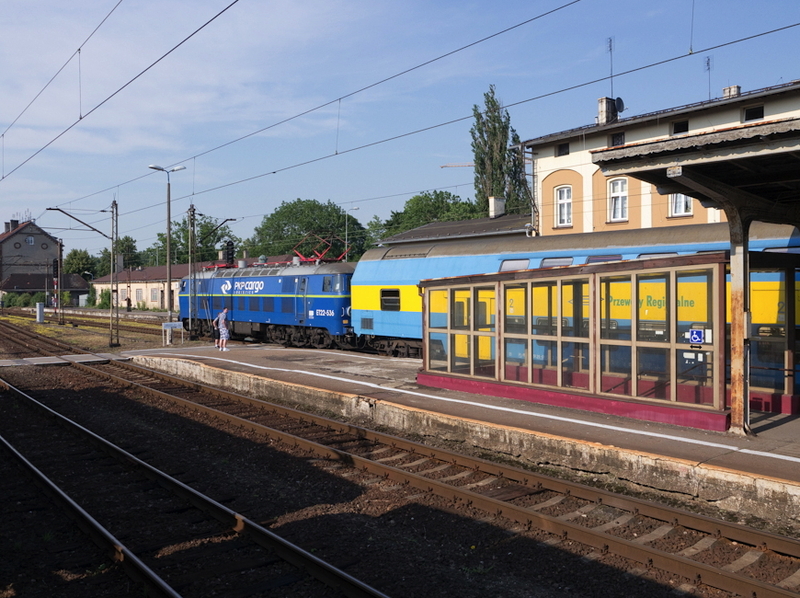 Regio 71136, the 17:22 from Wrzesnia to Kutno. I calculate, that we are travelling at a little over 100 miles an hour. As I am to learn a little later, we are not, it is just that PKP have not mastered the art of accurately welding track and the bumps over the welded joins create the illusion of travelling faster than we really are. The high speed run does not last. After some 15 minutes, the brakes are applied, and we veer off the mainline tracks and stop by the platform at a new station. What station? 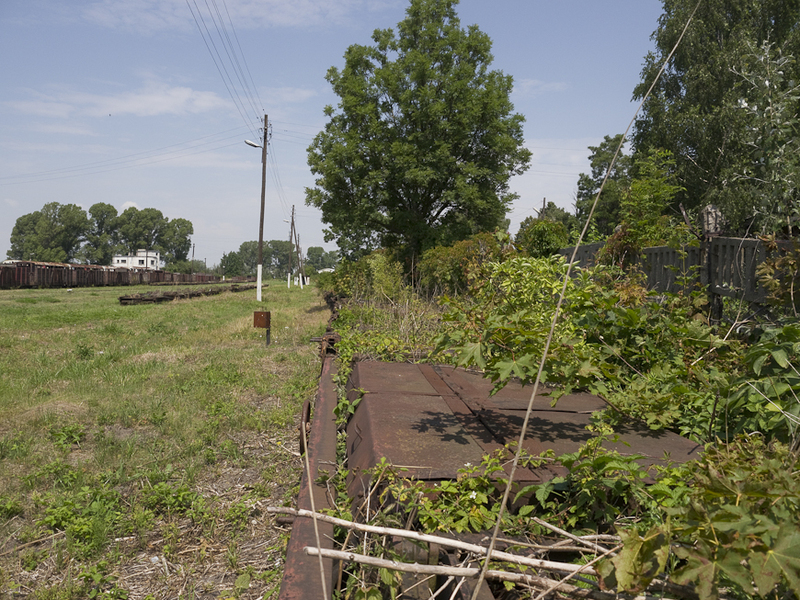 What are we doing at some small wayside station? After a ten-minute wait, we set off at high speed only to have the brakes applied just before the next station and another five-minute wait. 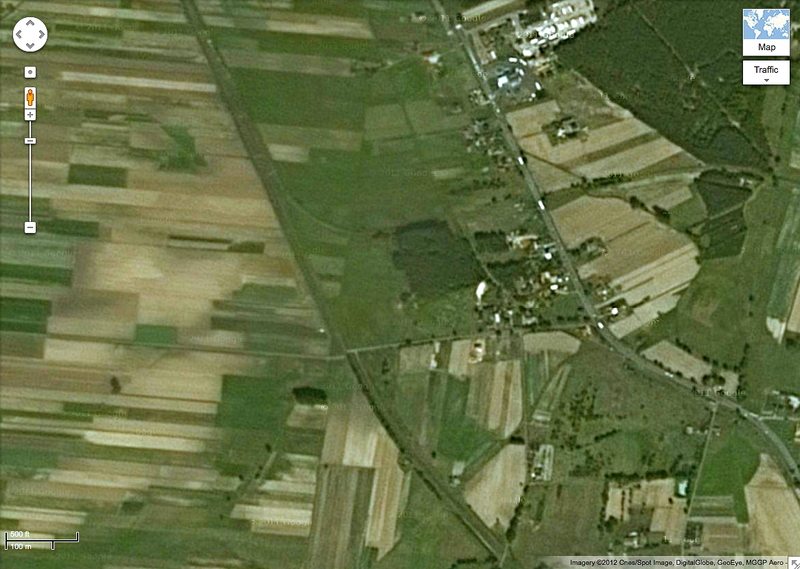 Finally we reach Wrzesnia which is about 40 km to the east of Poznan. Here we stop and it seems we are destined to stay here for some time. ‘Should I have changed trains?’ Photo BTWT. The grumbling of my fellow passengers reaches a crescendo. It seems there is a Regio all stations osobowy to Kutno following us which might provide some of them with a faster way home. I debate with myself should I catch the Regio and then organise a lift from Kutno or should I sit tight and brave it out to see what happens? I decide to sit tight. I bury myself in the biography of Trevithick. This remarkable man pioneered the use of ‘strong’ (high pressure) steam, invented the railway locomotive, the steam dredger and several other world changing inventions and yet died a pauper. Half an hour passes. It must be the hottest time of the day. Trevithick is now working on a project to build a tunnel under the Thames. The Regio arrives on the opposite platform and the majority of passengers decant themselves to catch it. I start to romance a survival film scenario: the majority set out to trek across the jungle to seek assistance, but we know in our hearts that will never make it. The chosen few stay put, improvise a shelter and go foraging for provisions. A lady with blonde hair takes charge of the handful of passengers that are left. 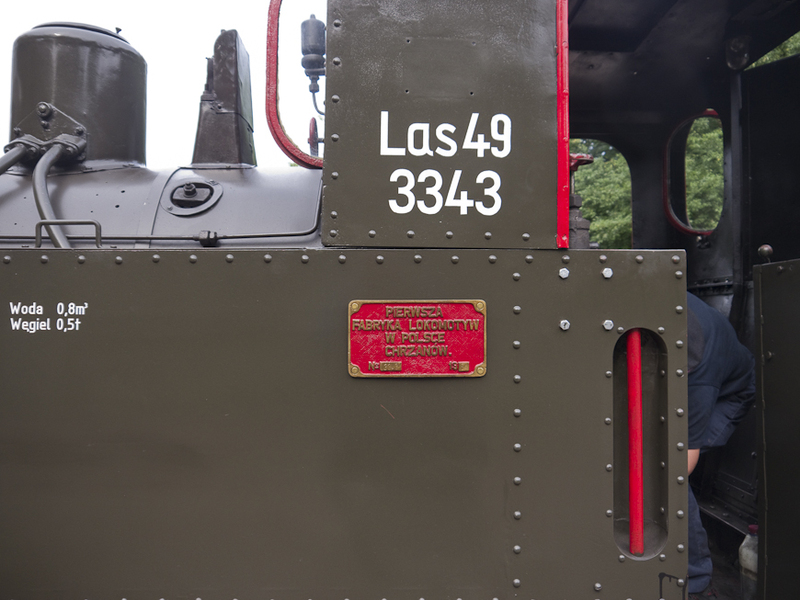 It appears that our locomotive has broken down and that a replacement logo has been summoned. She walks up and down the carriage opening windows and tries jamming a piece of paper under the doors at each end to encourage a draught. The gap under the doors is too big and no matter how many times she folds a piece of paper the doors snap open. It is a matter of considerable satisfaction me that I once came top in the mechanical engineering exam at one of Britain’s leading industrial universities. We had a drop forge just across from the sports stadium. I crush the Irish beer cans to make neat little wedges. Proudly, I hand her my metal work. She fits my wedges under each of the doors and they stay open. A cool draught starts to blow along the open carriage. Brief encounters, Dawid, Sonia and the team leader. Our leader reports that she has interrogated the guard, the driver and a relief driver. All had given her different time estimates as to when help will arrive. The guard says that we could spend the rest of the day here and seems relieved most of the passengers have deserted his train. The relief driver thinks we may be delayed by about two hours, while the driver expects to have more information in about half an hour. The prognosis is encouraging, but my water supply – I bought a small bottle at Poznan – is getting dangerously low. 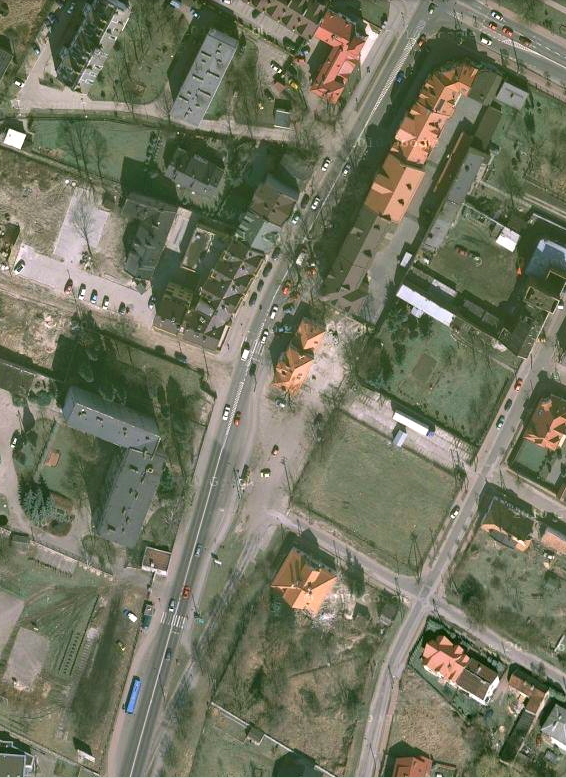 Apparently there is a spozywczy store close to the station. Sonia, a student at the Lodz Film School, offers to go and get some beer. This is getting better and better! We place our orders and assure her that we will not let the train go without her. Soon she returns with our drinks. I put Richard Trevithick aside and we discuss our plight. We are all agreed that it is absolutely unacceptable that at no stage we been provided with any official information. What we do know, we have had to find out for ourselves. We are briefly joined by the driver and another driver travelling ‘on the cushions’. The driver reports that a relief engine has been sent out. Our own engine, EP09-02 has overheated. It is 70°C in the resistor compartment, he tells us. I ask him whether he went over 160 k/h (100 mph) coming out of Poznan, I only touched 155, he answers defensively. He does not think much of the EP09s. Not as reliable as the EU07s, he tells us. The EP09s were designed in the 1980s to be thyristor controlled, but as Poland was in the middle of a hard currency crisis at the time, the thyristors were replaced by resistors. 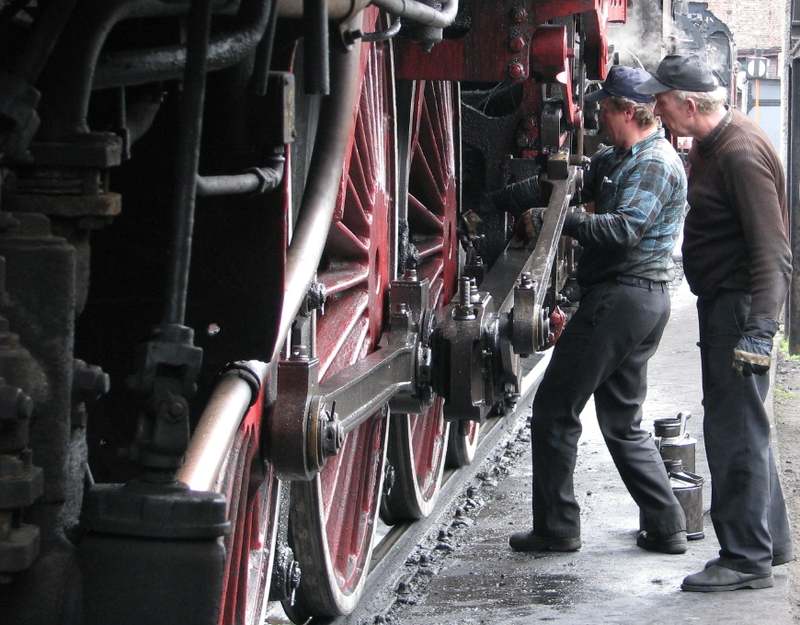 This radical redesign made the locomotives much less energy efficient. The wasted energy becomes converted into heat. All it needs is a hot humid day and a faulty fan and the EP09 is crippled. 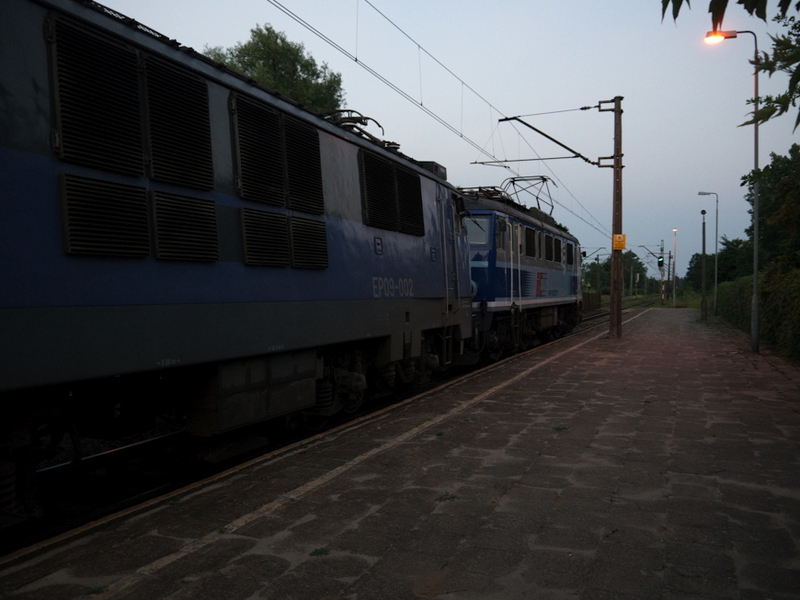 Failed EP09-002, piloted by unknown EU-07 hauling TLK 83106 at Lodz Zabieniec on 18 June 2012. *Mushroom management methodology: keep them in the dark and from time to time throw in a load of sh*t.